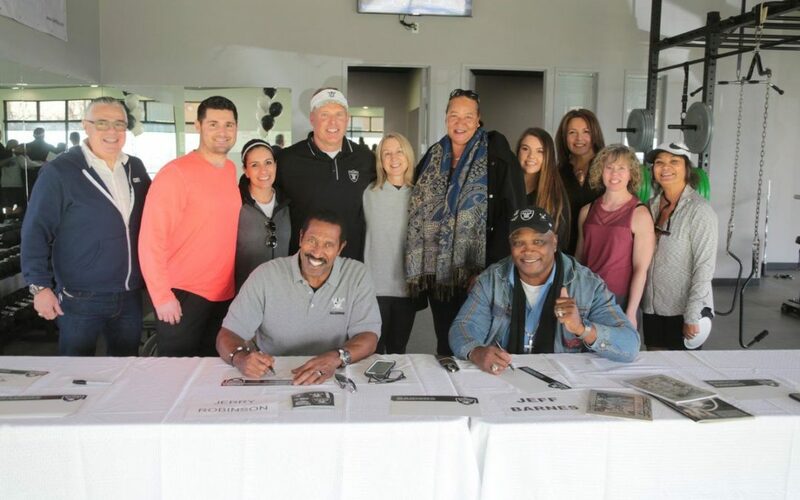 Former Raiders players Jerry Robinson and Jeff Barnes joined business partners Vance Mueller and Joe Shanley, to celebrate the Grand Opening of Mueller’s Elite Athletic Training Academy in Martell. Mueller’s Elite Athletic Training Academy is open from 5 a.m. to 8 p.m., Monday through Friday; 8 a.m. to 4 p.m. on Saturday; and 8 a.m. to 2 p.m. on Sunday, by appointment only. For more information on memberships, visit their website at muellers-elite.com or call the academy at (209) 257-3164. Mueller’s Elite Athletic Training Academy is located at 12180 Industry Boulevard, Suite #51, Jackson, CA 95642 (in the Safeway shopping center).